Arrgh! These are great cupcakes for a birthday party. 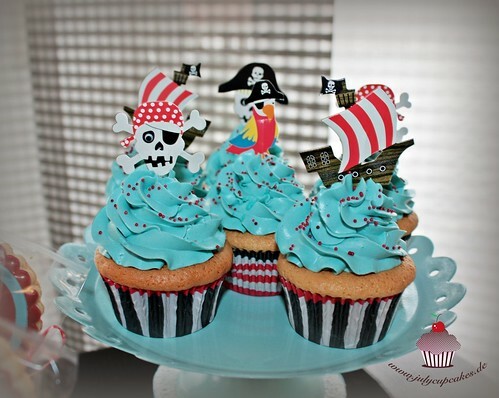 Pirate Cupcakes, originally uploaded by Julycupcakes. These look so cool. My son loves pirate everything right now.